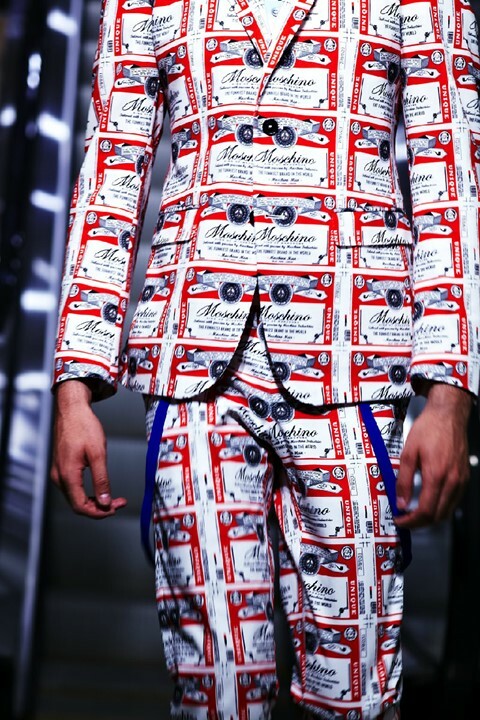 "There were two stories at Moschino, one of classic tailoring in bright colours and the other of pop prints. The pop art prints was the most uplifting, reworking Budweiser labels and Ariel logos into clubby graphics, reminiscent of the 90s. It was fun and wins hands down for the most imaginative show venue of so far, held in a supermarket!"